How many gadgets do you own? How many of those are plugged in right now? According to one recent report, the average adult owns no fewer than 24 electronic devices! This is great when you need the modern-day functionality such devices can provide. But otherwise, the general consensus is that you should be charging them rent with as much power as they cost you each year! As power costs continue to rise, we thought it was a perfect moment to feature 6 of our favorite tips for saving money on your energy bill! It is so easy to forget that those coolly blinking “standby” lights mean there is a device still drawing power. You want to make sure your devices are powered up for when you do need them. But for many smaller electronics in particular, keeping them plugged in after they are fully charged can actually drain and weaken the battery over time. Plus, according to the U.S. Department of Energy, those over-charged devices are costing you up to $100 per year! Your investment: A bit of time to scour the household for unused electronics and unplug them or switch off the surge protector. Light fixtures can be another repeat offender in the “excess power draw” category. Even if your light fixtures are hooked up to a motion sensor, they are still drawing a small amount of power on standby. You can at least control how much power your lighting is drawing when not in use by changing the type of light bulbs you use. For example, the U.S. Department of Energy states that when you swap out five regular bulbs for energy-efficient CFL (compact fluorescent lighting) bulbs, you can save as much as $75 per year on those light fixtures’ power draw alone. Your investment: About $15 for a pack of four CFL light bulbs (which, on average, last 3 times longer than traditional bulbs). Did you know that your hot water heater can get cold, too? You know your hot water heater is cold (aka burning extra energy) if it feels warm when you touch it. When you invest in an insulating blanket, your hot water heater can do its job more efficiently with less power. Current U.S. Department of Energy estimates suggest you could save up to 16 percent in energy costs, which will save you around $50 a year (assuming an average energy bill of $150 per month with approximately 19 percent of that bill going toward water heating). Your investment: About $20 for an insulating blanket at any home supply store or online and an hour or so to install it. If you have an older HVAC system, you may not have the option to program your thermostat to follow your at-home/out-of-home schedule. But sometimes even these older systems can be retrofitted to work with a third-party programmable thermostat, which costs less than a to-go meal for two and can save you up to $150 each year on cooling or heating an empty home! Your investment: Around $20 for a third-party programmable thermostat and some time to install and program it. 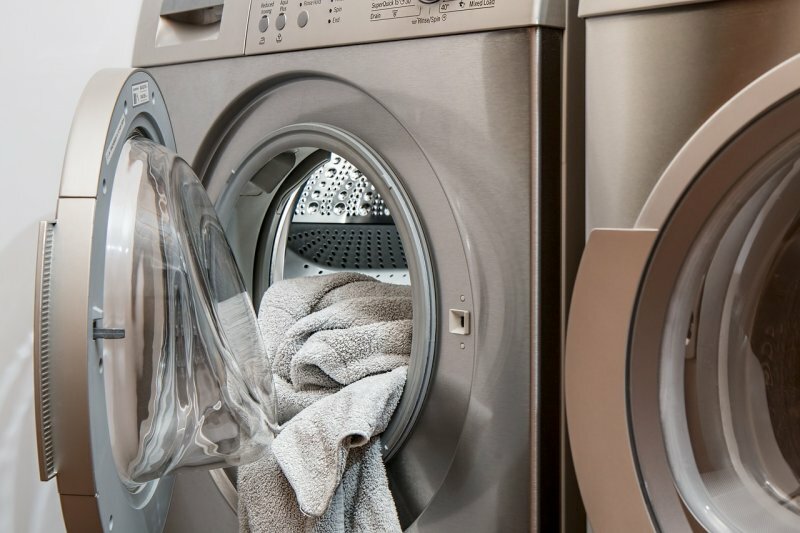 Not only is the trapped lint in your dryer’s lint catcher a shock-worthy fire hazard, but it is also capable of reducing how efficiently your dryer operates by a whopping 75 percent. This works out to about $30 wasted each year (assuming you dry two loads per week at $0.45 per load). Obviously, your costs can go up quite a bit depending on your dryer model and how frequently you use it! Your investment: A moment or two after you unload each freshly dried load of laundry to remove lint from the dryer trap, plus a once-a-year professional dryer vent cleaning to remove trapped lint you cannot readily access. Weatherstripping isn’t exactly a glamorous home improvement project. No one gets excited about spending a weekend working with weatherstripping and caulking. But the estimated 20+ percent of annual energy savings from taking the time to seal in all that escaping heat is something worth getting worked up about! The average cost of heating a home with an electric-powered furnace is around $1,500 in Ontario. Twenty percent is $300, which could be well worth an energizing round or two of caulking. Your investment: It may cost anywhere from $60 to $350 (so on average, about $205 per home) to weatherstrip and seal your home depending on age, square footage and number of windows, doors, crawl spaces, etc. But on average, you can expect your investment to more than pay for itself in the first year. By the end of the investment period, you are looking at around $440 in savings for the first year alone. But starting in Year 2, you will reap the pure savings profit of $705! Need help trimming your power bill? Contact us online or give us a call at 905-549-4616!